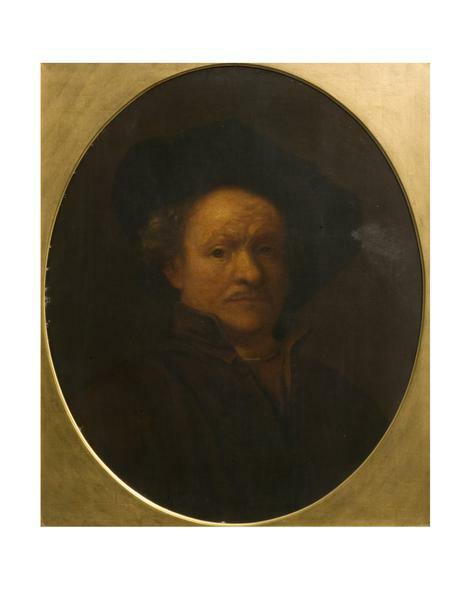 This is a copy of Rembrandt's Self-Portrait of 1660 painted when the artist was 54. The original in the Metropolitan is somewhat larger, rectangular, and depicts more of the artist's torso. This work was probably painted in Great Britain after the original now in the Metropolitan. The original was in the collection of Admiral William Waldegrave, 1st Baron Radstock, London and Mayfield until 1826 and then in the collection of the Barons Ashburton, London until it was acquired by Altman in New York in 1909 who bequeathed it to the Metropolitan. Historical significance: In addition to the V&A copy there is another, formerly in the Phillimore Museum [Gedenkmuseum Philmore Ives?] in Stellenbosch, South Africa (current location unknown). The work was also engraved by the German printmaker Georg Friedrich Schmidt (1712-1775). 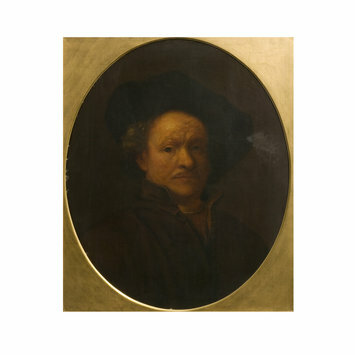 The dozen or more self-portraits that date from each decade of Rembrandt's career vary considerably in composition, expression and technique. In the late examples, the broad applications of paint convey a candid record of the artist's aging features. 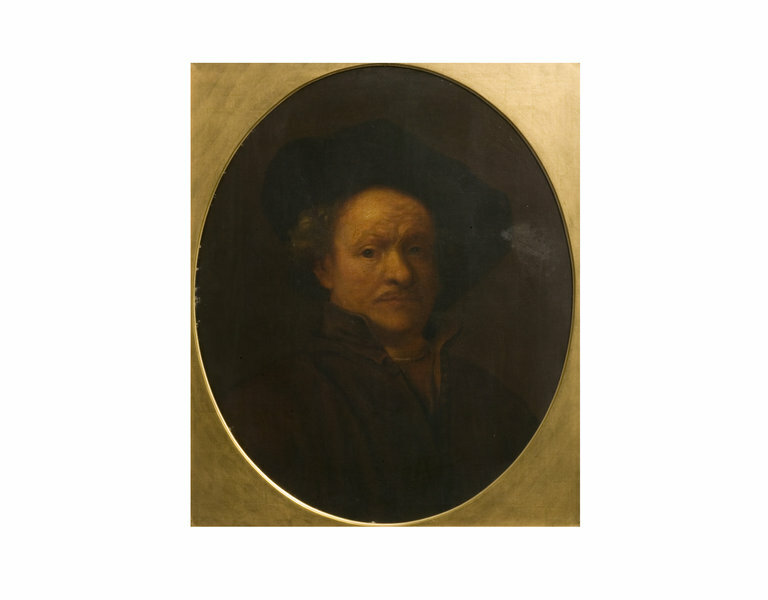 In the course of four decades Rembrandt painted, etched, or drew about seventy-five self-portraits, whci constitute one of the most personal parts of his oeuvre which inspired pupils, followers and imitators. Kauffmann, C.M. Catalogue of Foreign Paintings, I. Before 1800. London: Victoria and Albert Museum, 1973, pp. 234-236, cat. no. 293. Basil S. Long, Catalogue of the Constantine Alexander Ionides collection.Vol. 1, Paintings in oil, tempera and water-colour, together with certain of the drawings. London : Printed under the authority of the Board of Education, 1925. Blaise Ducos and Bruno Mottin et al. in Rembrandt: Three Faces of the Master. Exh. cat., Cincinnati Art Museum. Cincinnati, 2008, p. 83, fig. 50 (color).